Nothing particularly special about these guys. 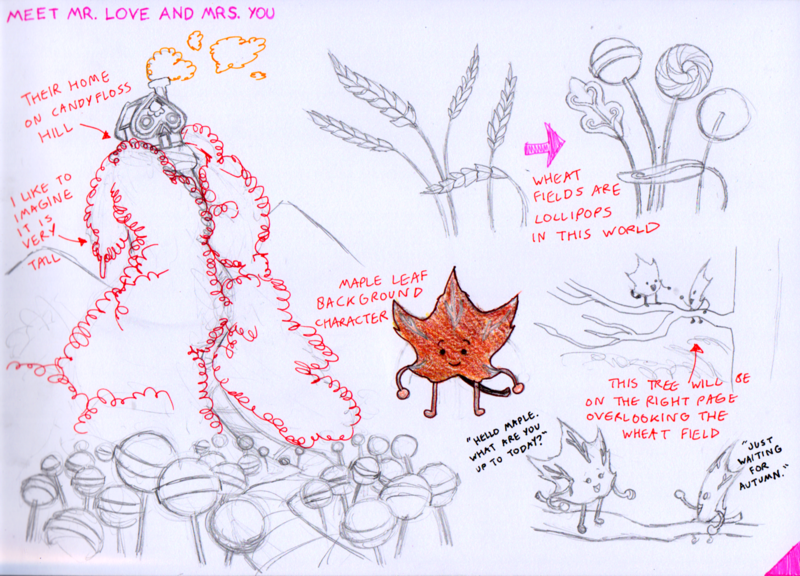 These are more background characters for the book. 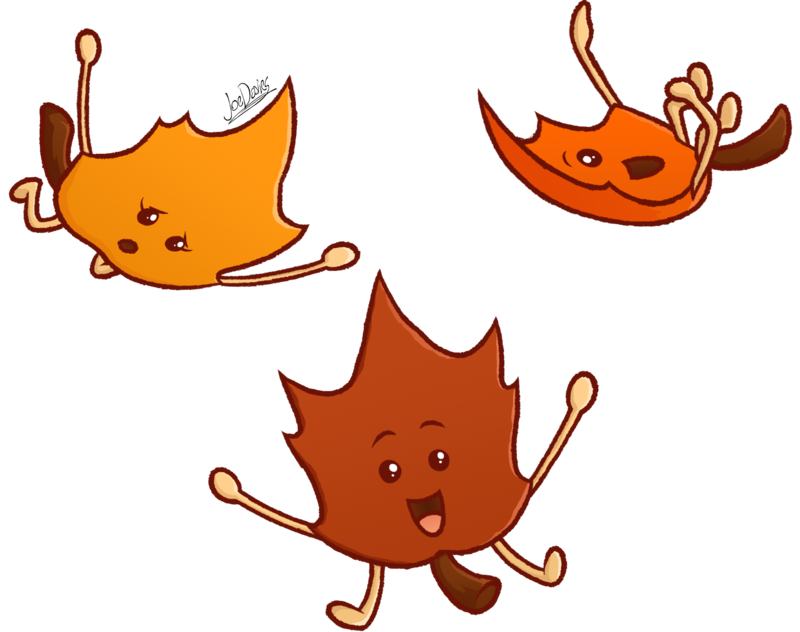 Simply put, they’re walking, talking maple leaves. 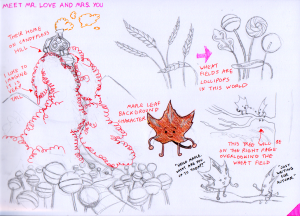 Martin Small wanted the leaves to have sentience for some reason, but I didn’t question it. In fact, I’m glad he did request it, because it gave a later scene in the book more background characters to cheer on the main characters in their wacky activity. Check out the book to see what I mean.